Q. 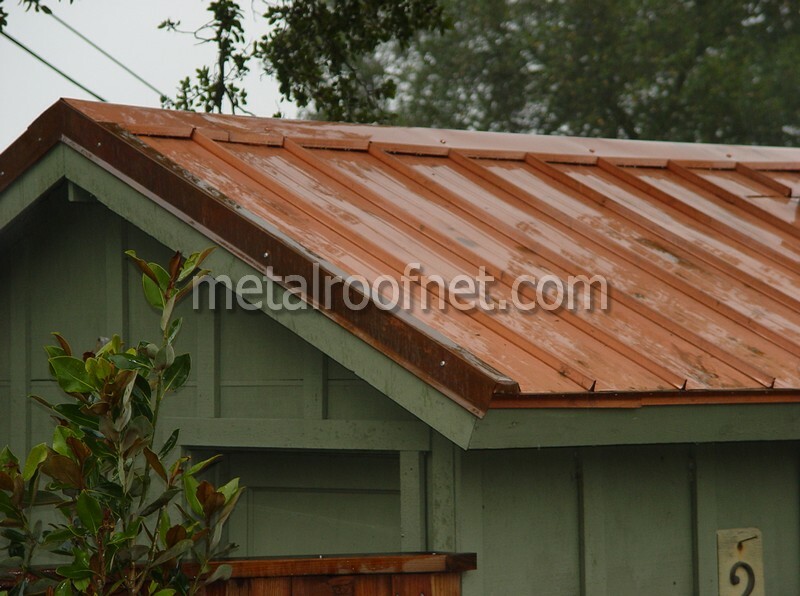 Is there such a thing as do-it-yourself metal roofing? How much can I save if I install my own metal roof? Is it difficult to do? A. There most certainly is DIY metal roofing, and the savings and difficulty factor will vary according to the profile you choose and the current condition of your roof. We can provide installation manuals for our products, and anyone handy with home improvement projects can most likely handle DIY metal roofing too. As for savings, consider this: hiring a contractor to supply and install a metal roof often means that at least 30% - and as much as 70%! - of the price of the entire new metal roof system is just labor and overhead. You could save all of that by choosing a metal roof designed for easy installation! Another bonus? One of the big advantages of a metal roof is its light weight. Typically half the weight of many asphalt shingles, many metal roof systems can be installed right over up to two layers of existing shingles (although it's always wise to check your local building code). That reduces the cost and ecological impact of discarding old petroleum products into a landfill - a twofer! Of course, the big advantage of choosing a DIY metal roofing material over composition or wood is what you get in return - vastly superior life expectancy and durability. On most applications, a metal roof will last the life of the building - DIY it once and you're done! It's certainly something to keep in mind when planning your project. I've spoken with people who rejected all of the benefits of a metal roof as a DIY project because they determined it would take a few more days to install (compared to a composition shingle). While this is undoubtedly true for most jobs, does a few extra days of work now not make up for decades of improved service down the road? Taking the long view puts things into perspective quickly and for people looking for long-term performance and value for their roofing dollar, metal has to be the first choice every time. If you'd like to learn more about the feasibility of completing a DIY metal roof project, call or contact us today. We'll be happy to answer all of your questions, and we can recommend the best material and profile for your project.